This class helps develop the basic dance skills of 3-year-olds through songs and games of dance. Basic ballet intro is taught, without the focus on technique at this young age. Children are also encouraged to express themselves in individual ways through dance. Along with movement skills, the structure of a dance class, (standing in line, waiting one's turn) is learned. This is a fun and creative environment to introduce your young child to music and movement. Cecchetti ballet technique is taught to classical ballet music. Class includes barre work, center floor to include adagio & allegro, and progressions across the floor. 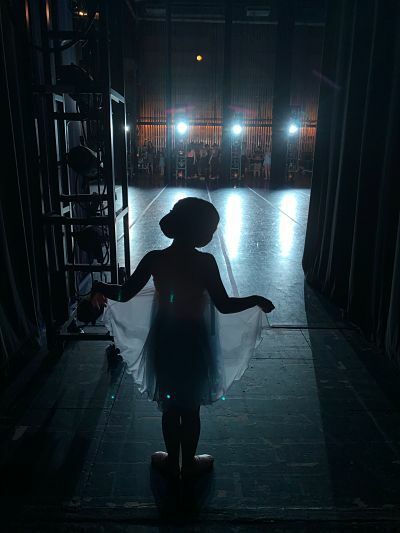 "Pre-Ballet" is taught in the 4-5 year olds combination classes. This primary includes work being done center floor and across the floor. Lyrical classes include a streatching warm up followed by combination drills. 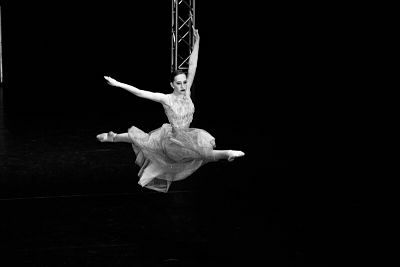 Lyrical dances express the emotion of the song and can tell a story through creative movement. Lyrical is a very passionate style of dance which combines the styles of Jazz and Ballet. This class is offered at all levels from beginning to advanced. Modern dance teaches students expression through fluid dance movements. Modern can incorporate the use of other styles in the routine such as acro and jazz. This class would be suitable for someone 11 or older with previous dance experience. Rhythm tap technique taught to be executed primarily on the balls on one's feet. A variety of music styles such as Broadway show tunes, pop, or rock may be used. Classes include warm-up, progressions, and combination drills. "Pre-Tap" is taught in the 4-5 year olds combination classes. This includes the beginning tap steps and skills done center floor and across the floor. Jazz classes include warm-up, progressions, and combination drills. Jazz classes are taught in the style of classical jazz technique and at the teacher's discretion may vary to the style of lyrical, musical theater, or funky jazz. Music styles will vary to complement the style of jazz being danced. A dance style fusion evolving from ethnic and street dance, class includes warm-up, progressions, and combination drills. Hip-Hop, Rap, or Pop-Hop music is played. A dance class taught in the style of funky jazz combined with Hip-Hop dance. Hip-Hop, Pop-Hop, or Pop music may be used. Choreography will be taught in all classes, at the teacher's discretion. Material taught in classes will vary to suit the general age, ability, and concentration level of class. See our Schedule for dates and times of classes. Register for a class or Contact The Dance Department for more information.